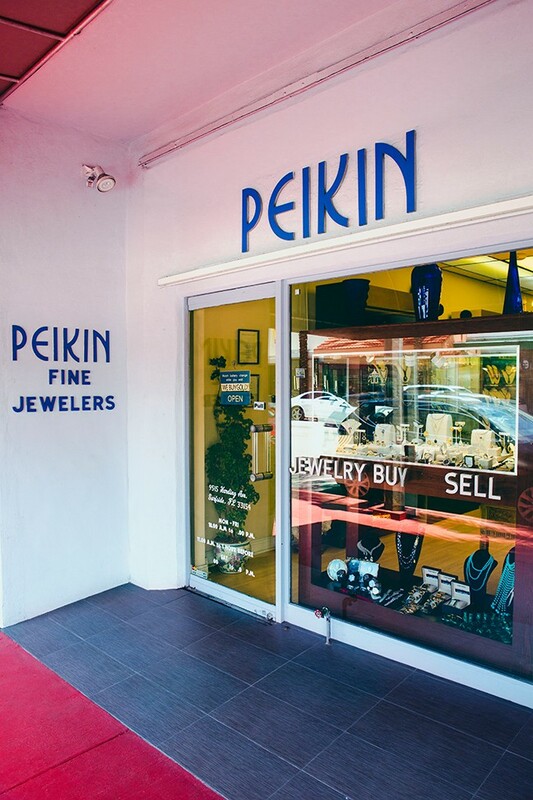 Peikin Empire Fine Jewelry is a gem in Surfside. A long-standing community staple, the jewelry shop has a rich history and a dedicated regular clientele. The store’s origins stretch back to the early 19th century, founded in 1923 in New York by its first owner, Mr. Peikin. The popular store was a prominent Fifth Avenue shop made famous for its ownership of the “Uncle Sam” diamond, the largest diamond ever found in the United States. The ‘Uncle Sam’ diamond originally weighing 40.23 carats, was named after who found it, a worker at the Arkansas Diamond Corporation. The hefty diamond was found in 1924 at the Crater of Diamonds State Park in Arkansas. After being faceted twice, the final result was a 12.42-carat emerald-cut gem with a white or slightly pink sparkle and almost imperceptible imperfections. Simply put - it was near perfect. It was so rare that the diamond was lent by Mr. Peikin to the American Museum of Natural History for temporary display and storage. In 1971, the diamond was acquired by a Boston dealer by the name of Sidney de Young and sold for $150,000 to an anonymous private collector, which is equivalent to just under $1 million in today’s market. After the sale, Peikin flew south to Miami and opened two shops, one on Alton Road in Miami Beach and another in the Town of Surfside. The shop changed hands a few times and came to have the current owners, Juana, Rolando, and their family in 1992. For the last 26 years, the shop has been well known in the community as a family business with a reputation for quality pieces with a smile. 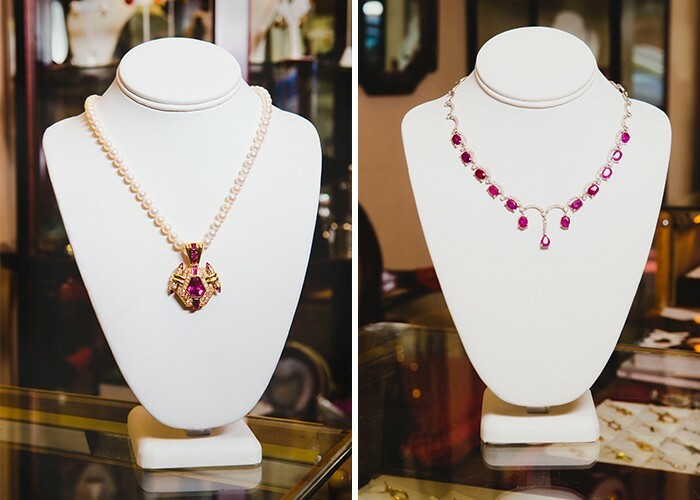 Instead of carrying brand names, the store has a variety of unique and bespoke jewelry created specifically for the store and its customers. The store often sells out of gold or silver charms that honor the Jewish faith. For other tastes, the shop has many unique styles of silver or 14- and 18-carat gold jewelry. It is also popular for engagement rings, uniquely designed and set with precious stones such as diamonds, sapphires or rubies. The shop is located on Harding Avenue, placing it in the heart of Surfside. The owners love Surfside for its close-knit community. Juana says, “We love being a part of Surfside. Many of our customers have become our good friends and it’s great that we’re part of a community of other family-owned, local stores. There are also many great hotels and a rich restaurant scene.” She also loves the accessibility to the beach here in Surfside. “I love being able to go to the beach after work, I can enjoy my evenings there after work with my family,” she says. Looking for a special memento? 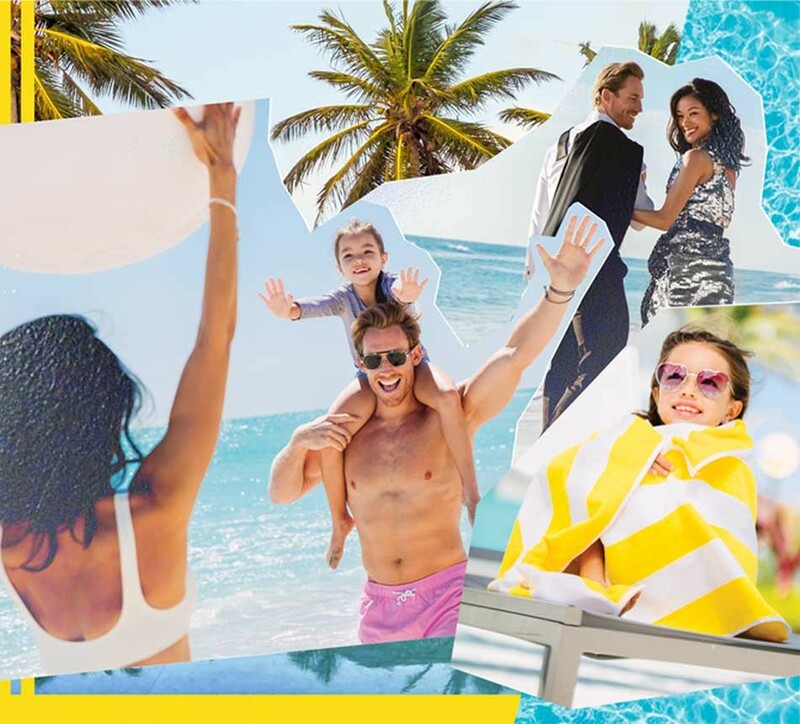 Peikin Jewelry is the place to find a special memento to remember your trip to Surfside or shop for a bit of flare for yourself or a loved one. A visit to Peikin Jewelers in Surfside guarantees you’ll work with knowledgeable, dedicated precious stone and jewelry experts and some loving locals. Visiting Surfside? Check out our visitors guide or read about more Surfside hotels and attractions on our blog. You can also learn more about Surfside events and hear the latest town news by signing up for our newsletter and following us on social media, using the hashtag #uptownbeachtown.